Some participants of my free online UEC Practitioner course still have problems integrating this wonderful energy and healing technique into their daily routine as an “appointment with themselves”. But only if you make UEC a regular habit, you can permanently benefit from the beneficial effects of these exercises. In addition, through daily practice, you develop your ability to perceive, focus, and actively use subtle energies better and better. So, this is a decision that everyone has to make for themselves: Do I want to deepen my relationship with the universal life energy or not? In answering this question, it may also help you to remember why you signed up for the online course. Did you want to do something good for yourself? Dissolve blockages, make you feel freer and more balanced? Or did you want to learn how to heal other people energetically? It only takes five minutes for the UEC energy flow exercise and the shaping and sending of energy spheres. Some say then: “Oh, I always have so much to do …” or “At the moment I am unfortunately totally in stress!” These are of course nothing more than excuses. During the day, you will quickly save the five-minute practice time because you will feel more balanced with UEC, and because you will learn to use your energies much better and more purposefully. If you’ve felt caught up in the just mentioned excuses, then there’s probably a very different reason behind it: you may not quite believe that the UEC exercises will make a big difference in your life? There is only one way to try out the long-term effects of UEC: Practice it every day for two or three weeks. If you still think that UEC would not do you any good and is a waste of time, you can easily end it. Once you’ve decided that Universal Energy Creations should become an integral part of your daily life, then you need a concrete plan on how to integrate the exercises into your everyday life. In the morning after getting up, it is especially easy for most participants to start this new habit. We all have our personal morning routine. What you do in the morning right after getting up, you have usually programmed for many years in your subconscious mind. It would feel very strange if you were to omit one of these regular activities one day. Your brain connects the synapses in a new way and will remind you after only a few days of UEC, if you should accidentally go straight into the kitchen after brushing your teeth. Some say a new habit would take 21 days to establish. 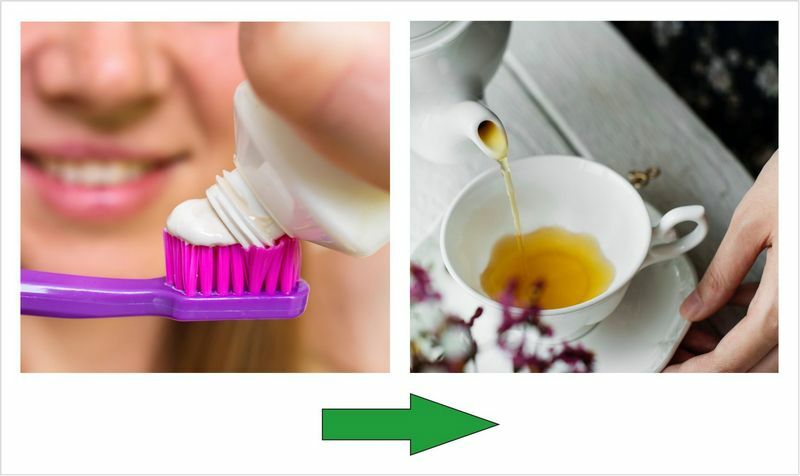 With this simple trick of inserting between two other regular habits you can get it in just one week! Now think about how to put UEC into your own morning schedule. If you practice UEC twice a day, you will have much deeper experiences. Now, it is not advisable for most users to do the exercises in the evening just before going to bed. Many find it difficult to fall asleep with so much energy… Therefore, you now need another habitual habit, between your lunch and dinner. Yes, the food itself could be such an anchor to inserting the new habit: that is why some practice right after lunch or just before dinner. Or you find another activity that you already do every day during this period and then link them with the new UEC exercises. Maybe right after you get home from work or before your evening relaxation program? Those who already meditate regularly or do yoga, taiqi or other exercises for their own well-being, have it even easier: Try the UEC exercises directly before or directly afterwards. If you do them before meditation, yoga, etc. then you will probably find that you are much more focused and can experience your other exercises more deeply than before. If you practice UEC immediately after your other spiritual exercises, you will probably find that you can make the Universal Energy Creations exercises much more focused and in-depth. As a link between, it is ideal to practise the Inner Smile and the Breathing Through Your Heart Center. Many participants already tell me that they do both exercises regularly in between: while queuing up, while driving, or during other activities that are more or less automatic. The nice thing about the Inside Smile and the Heart Breathing is that you can do it spontaneously, as a short but effective impulse in between. Once you have UEC firmly integrated into your daily routine, you probably will not want to miss the exercises anymore. If you need even more daily motivation for your UEC exercises, then come in our annual group of UEC Believer! After just a few weeks we have developed into a really nice “family” on our secret Facebook group, we exchange ideas and answer all the questions that arise. Most participants occasionally look at the group during the day, because they do not want to miss anything. Every week, we focus on a new, exciting add-on application for UEC and share our experiences with each other. 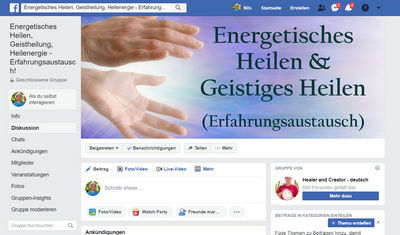 That motivates, of course, because every week there is something new to learn about this wonderful energy and healing technique! PreviousPrevious post:Better Wound Healing with UECNextNext post:Energetic House Cleaning: self-made!